Photos taken on Friday 16th July 2010. 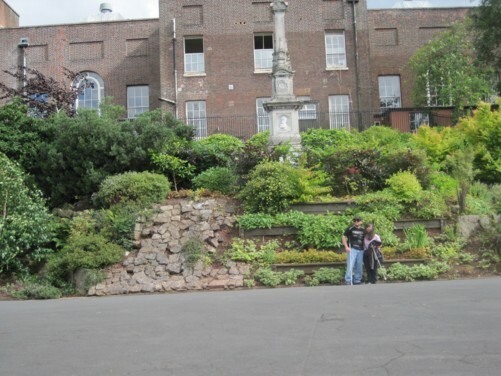 The first photos were taken in Rougemont and Northernhay Gardens, which surround the ruins of Rougemont Castle, Exeter. The public gardens surround the castle ruins on three sides and are pleasant to walk around. The castle was first built in 1068 to help William the Conqueror control the city. Northernhay Gardens were laid out as an open park in 1612, restored in 1664 after the English Civil War, and underwent major re-landscaping in the 1860s. The gardens incorporate a good stretch of Roman wall and the only length of Saxon town wall to be seen in England. Northernhay Gardens were connected to Rougemont Garden in 1912 after being acquired by the city council. Rougemont Garden was begun in the late 18th century. 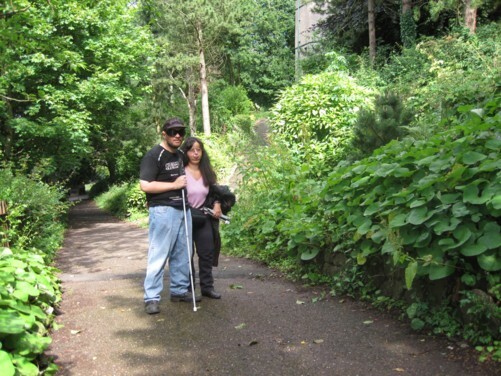 Tatiana and Tony walking along a path in Rougemont and Northernhay Gardens. 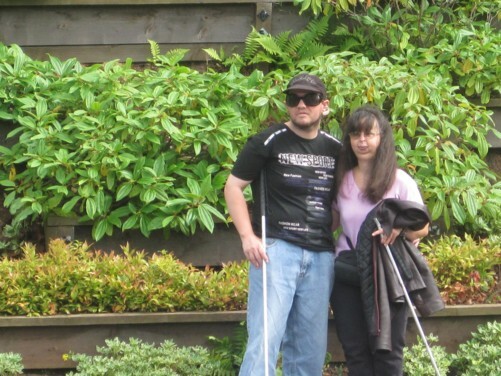 Tony and Tatiana in Northernhay Gardens. 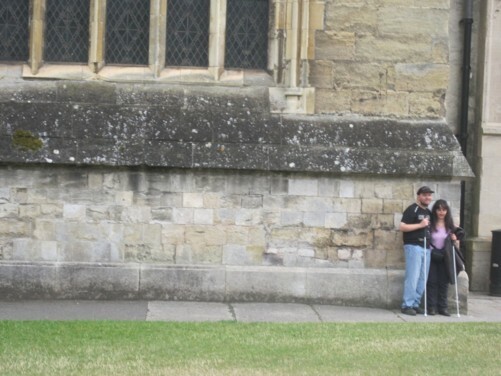 Behind them is the War Memorial, erected in 1923 by local sculptor John Angel. Northernhay Gardens. In the background is The Volunteer Memorial from 1895. It commemorates the formation of the 1st Rifle Volunteers in 1852. 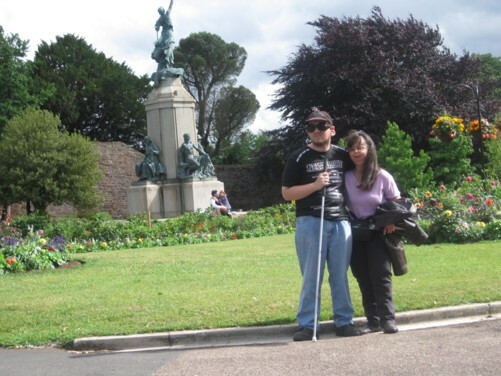 Tony and Tatiana in Northernhay Gardens. 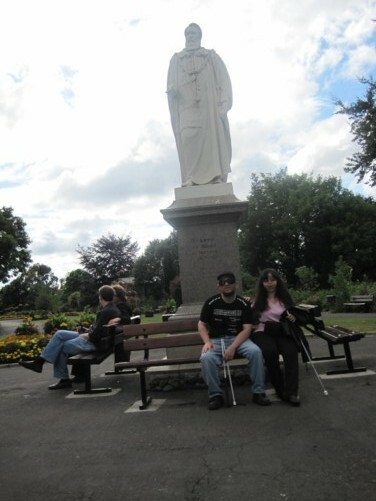 Tony and Tatiana sitting in front of a statue of Sir Stafford Northcote. The statue was sculpted by Boehm and dates back to 1896. 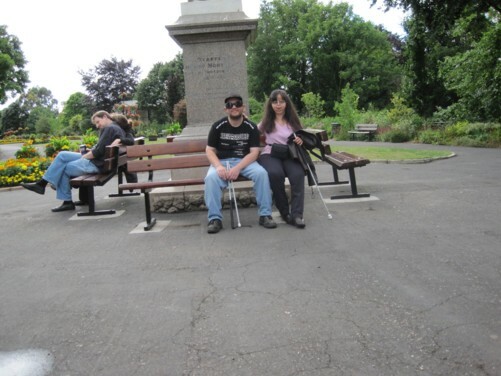 Tony and Tatiana sitting in Northernhay Gardens. 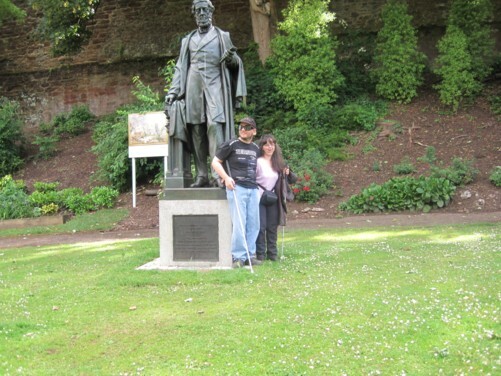 Tony and Tatiana beside a statue of William Reginald Courtenay, Lord Courtenay of Powderham Castle and Earl of Devon. It was first erected in 1880. The statue was refurbished and moved to Northernhay Gardens in 2005. 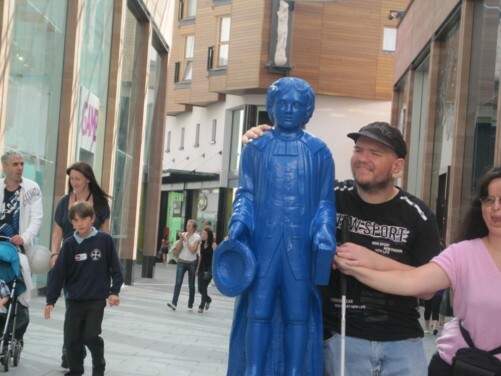 Tony and Tatiana by the famous Blue Boy statue on Princesshay in Exeter city centre. The cast-iron statue was erected on the re-developed street in 2007. It is known that the original Blue Boy statue was made of stone, and by 1830 was headless, indicating that it was already very old. It was probably at, or soon after, the founding of St John’s Hospital School in 1632, that the statue was made. 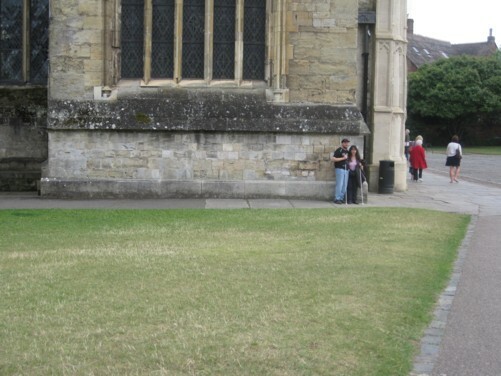 Tony and Tatiana in the courtyard of St Peters Cathedral with its two magnificent towers. It has dominated the city’s skyline since 1114. Tony and Tatiana in the courtyard of St Peters Cathedral.